Now that I am a reformed curly girl (i.e. I grew out my chemically straightened hair, tossed my blow dryer and flat iron and haven’t used traditional shampoo in four years), my curls look pretty good, if I do say so myself. But when I talk to curly girls who are still blow drying, flat ironing and doing other torturous things to their strands, they often say, “But I don’t have good curls like you” or some other variation of this sentiment. That is simply not true. I didn’t have curls like this either until I started treating my hair right. One of the key things for good, make that gorgeous-looking curls, is moisture. As curl guru Lorraine Massey says, “Frizz is just a curl waiting to happen.” What it’s really waiting for is some hydration. Your poor frizzy strands are just thirsty! I promise that if you hydrate your hair, curls that you never knew were possible on your own head will start to emerge. And if you keep hydrating them, they will just get better and better over time. 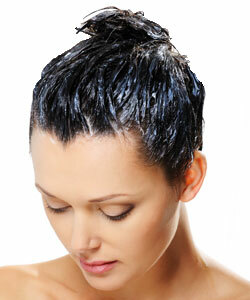 You should always condition after you cleanse your hair, which should be only a couple of times per week. 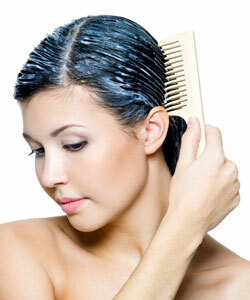 The other days, just wet your hair and use your fingers to comb generous amounts of conditioner through it. Even if you don’t want to get in the shower and drench your tresses, you can simply wet your curls lightly with water from the sink. Then put a dollop of conditioner in your palms, add a little water, rub hands together and gently apply this to your hair, especially to the top, which tends to get the frizziest. This was the best trick I ever learned. Don’t rinse all your conditioner out of your hair. How much you leave behind effects how much frizz shows up later. I personally don’t rinse any of my conditioner out. Instead, standing away from the stream of the shower, I simply fill my cupped hands with water and splash this over my head. That’s it. I find that my hair can never have too much thirst-quenching conditioner. MORE: Curly Conundrum: Hot or Cold Water? This may take some trial and error, but the right conditioner means you can leave a lot of it in your hair and it won’t feel greasy or crunchy. Look for one with ingredients that hydrate hair including shea butter, vegetable oils, jojoba oil, cetyl esters, olive oil and wheat germ. Also look for conditioners that contain humectants – ingredients that soak in moisture from the atmosphere – such as panthenol, vegetable glycerin and sorbitol. 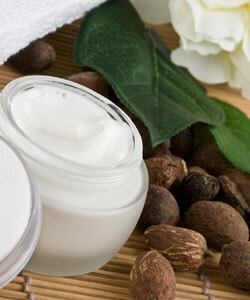 At least once or twice a week, deep condition your hair using a rich, thick product and keep it on at least 15 minutes. Even better, heat it up with a blow dryer or wrap a warm, damp towel around your hair. If you take the time to add these tips to your routine, your curls will be bouncing with joy! What do you do to keep your curls hydrated?